The sustained growth of Asia and Japans increasing integration with the rest of Asia is what makes Japans equity markets attractive. The sustained growth of Asia and Japan’s increasing integration with the rest of Asia is what makes Japan’s equity markets attractive. Never in its history has Japan been more integrated with the rest of the region. It has long been home to world-leading companies, companies with globally recognized brands, innovative technologies and those companies are starting to tap the Asian economies for growth. A decade ago, Japanese products were simply too expensive for the average Asian consumer but over time, household incomes in Asia have continued to grow driven by productivity improvements. Now the price points are starting to meet. The Global Leaders. These are companies with globally recognized brand, leading technology, product or service. Typically these companies are tapping growth outside of Japan in both developed and emerging markets. The Asia Growers. Companies that derive a significant or growing portion of revenues from Asia. These companies are capitalizing on the growth of the Asia’s middle class. These firms may export, trade, or locate business operations throughout this dynamic region. Domestic niche. Japan is a large economy in itself. For an entrepreneur with a unique idea, service, business model, there is sufficient headroom to build and grow a business. The small cap space offers particularly compelling investment opportunities: Approximately 60% of the roughly 1500 universe of small cap companies have less than two analysts covering them. Many of these stocks are strong and sustainable growing businesses at reasonable multiples relative to their growth and peers but remain under-covered and under-appreciated. With a long-term investment horizon, these holdings can develop into market leaders in their respective industries. Regardless of the size of company, reform initiatives to improve Japanese corporate governance practices are slowly starting to bear fruit. We are seeing that first in the form of increased shareholder returns, either through dividends or share buybacks. But the reforms aren’t simply about paying out more. Ultimately, corporate managers need to make better capital allocation decisions, become better stewards of capital. Change won’t happen overnight but we are starting to see moves in the right direction. 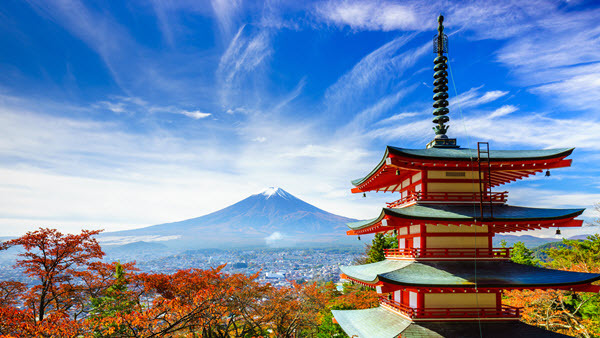 These factors make Japanese equities an attractive place to invest.